With pressure mounting in Washington and Riyadh, the US president theoretically had until the end of the day to designate those responsible for the murder of the Washington Post columnist, who was strangled and dismembered by Saudi agents in the kingdom’s consulate in Istanbul on October 2. The time limit was imposed by Democratic and Republican senators, who wrote to the president on October 10 calling for an investigation into the killing. Under a human rights accountability law the letter gives the president 120 days to designate and punish those responsible. But no definitive action was expected Friday from the administration. “Consistent with the previous administration’s position and the constitutional separation of powers, the president maintains his discretion to decline to act on congressional committee requests when appropriate,” a senior administration official said. The State Department said Thursday Washington had already taken action, pointing to last year’s revocation of visas for nearly two dozen Saudi officials and the freezing of assets of 17 others. 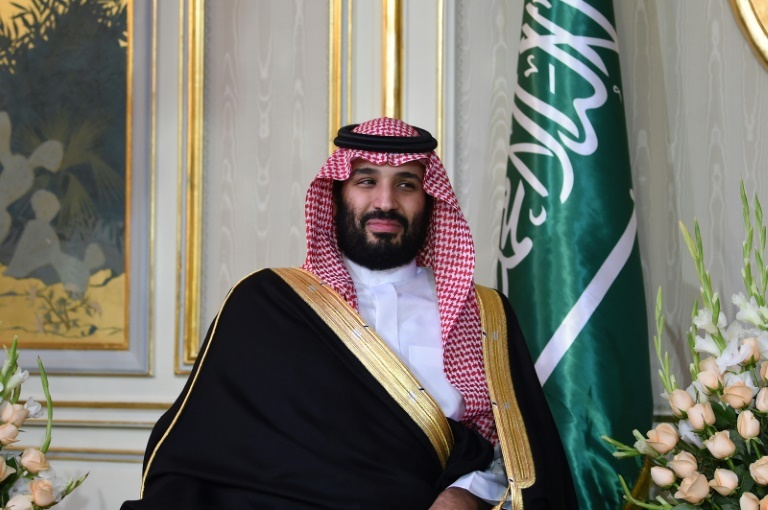 Some members of Congress have publicly stated that they suspect the powerful Crown Prince Mohammed bin Salman was directly responsible for the killing, based on the CIA’s conclusions. Predicting little movement, a bipartisan group of senators on Thursday proposed a bill that would cut off some weapons sales and require sanctions against any Saudis involved in Khashoggi’s killing. “Seeing as the Trump administration has no intention of insisting on full accountability for Mr. Khashoggi’s murderers, it is time for Congress to step in and impose real consequences to fundamentally re-examine our relationship with the Kingdom of Saudi Arabia and with the Saudi-led coalition in Yemen,” said Robert Menendez, the top Democrat on the Senate Foreign Relations Committee. The Trump administration claims it has no compelling evidence of the direct involvement of the young and powerful Saudi leader, although the senators — briefed in private by intelligence leaders — stressed they remained convinced that the prince known as “MBS” was responsible. Secretary of State Mike Pompeo raised Khashoggi’s killing among other issues during a meeting in Washington Thursday with Adel al-Jubeir, the Saudi foreign minister, according to the State Department. “For anyone to think that they can dictate what we should do, what our leadership should do, is preposterous,” al-Jubeir told reporters. Trump has publicly said he is not concerned whether Prince Mohammed was involved, arguing that the Saudi alliance benefits Washington due to the kingdom’s purchases of weapons and its hostility to regional rival Iran. The deadline coincides with new embarrassing developments for the prince. The New York Times, citing officials who had seen US intelligence, said Prince Mohammed had warned in an intercepted conversation with an aide in 2017 that he would go after Khashoggi “with a bullet” if he did not return to Saudi Arabia from the United States. US intelligence understood that the ambitious 33-year-old heir apparent was ready to kill the journalist, although he may not have literally meant to shoot him, according to the newspaper. Special UN rapporteur Agnes Callamard said Thursday after a visit to Turkey that the killing of Khashoggi, who had written critical pieces on Saudi Arabia in the Post, had been “planned and perpetrated” by Saudi officials. In light of the revelations, Khashoggi’s Turkish fiancee said Friday she hoped pressure from US lawmakers would encourage the Trump administration to take a tougher stance on the killing. Speaking at a news conference in Istanbul, Hatice Cengiz left the door open to a meeting with Trump if certain conditions were met, a softening of her position in December when she rejected an invitation from the US president. “A visit to the United States could take place in March,” Cengiz said, adding she hoped Trump would have a change of “attitude” about the murder.